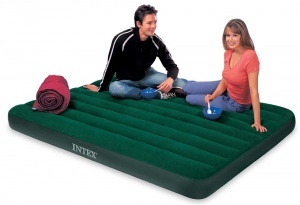 Intex 66969 - Intex Queen Size Prestige Downy Airbed with Hand-Held Battery Pump. The perfect choice for the rugged outdoors. 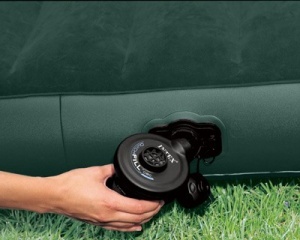 The flocked top gives a more luxurious sleeping surface, cleans easily, and it’s waterproof for camping use. 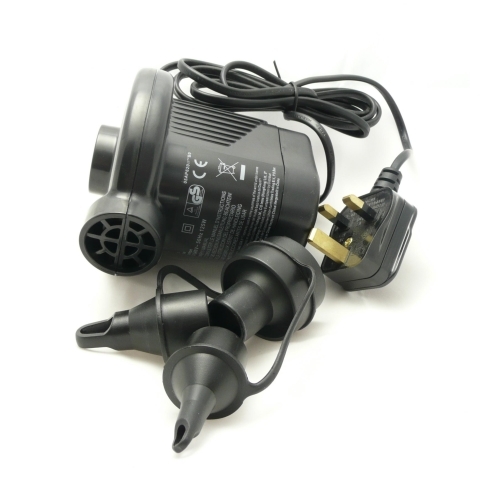 The powerful battery-operated pump goes anywhere! - Mattress approximate maximum dimensions 60” x 80” x 8¾”. - Weighs approximately 5.2 Kgs.